In Morocco Culinary Argan Oil is known to lower unhealthy cholesterol levels – a major contributor to deaths from heart disease. Research proved that foods can directly improve coronary artery wall health, manage blood pressure, counteract the forming of thrombi in atherosclerosis and much more. Studies have identified a range of plant Sterols, Stanols, Anthocyanins, plant-derived Omega Fatty acids and Polyphenols that have measurable therapeutic effects. This provides important pointers to foods or supplements we can use to maintain a healthier heart, lower the risk and even reverse the effects of heart disease. In one study 60 participants were split between one group, who were given Argan Oil and the other who received Virgin Olive Oil. After three weeks it was found that good HDL cholesterol levels had increased significantly in participants of the Argan Oil group. 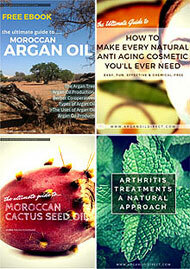 In a separate study of 96 subjects, 62 consumed 15 ml of Argan Oil per day. Within 6 weeks significantly lower LDL cholesterol and lower apo-B (Apolipoprotein Blevels) were observed in Argan Oil consumers compared to non-consumers. They also found an increase in biological activity with beneficial effects on LDL production as well as an increase in anti oxidant vitamin E concentrations. Furthermore, the phenols improve endothelial function. Endothelial cells are linked to the hearts contraction and relaxation process as well as immune function and clotting. They also noted that levels of triglycerides in the bloodstream were reduced significantly during the tests. This is good because high level of triglycerides are linked to cardiovascular problems such as atherosclerosis, the risk of heart disease and stroke. Studies also looked at the impact of Argan Oil consumption to block fatty deposits which develop within the walls of arteries. This is important since symptoms and the severity of acute coronary syndromes such as unstable angina and MI vary depending on the degree of thrombi formation. The conclusion was that Argan Oil inhibits platelet aggregation by acting on the attachment therefore minimising the risk of thrombosis in cardiovascular disease. Altogether, these results suggest Culinary Argan Oil consumption could have a significant beneficial impact on coronary artery disease. The precise metabolic pathways of many of these effects are not yet fully understood. Important Food Groups & Supplements that Protect the Heart. Anthocyanins are found in many foods. Blueberries, blackcurrants, blood oranges, aubergines and raspberries are amongst the richest source. In the UK study of over 90 000 women it was found those that ate 3 portions or more of berry fruit a week saw a 32% less chance of myocardial infarction -( heart attack). The report adds further needs to be done to investigate Anthocyanins and heart disease in women. There is a much research which suggests that the risk of sudden cardiac death is reduced when taking in higher levels of omega-3 fatty acids. The fatty acids found in fish are particularly associated with a reduced risk of sudden death among men who have never shown signs of cardiovascular disease. Essential fatty acids derived from plants was found to be twice as effective as those derived from fish oils. A Study of 250 000 people confirmed that supplements of Alpha-linolenic acid omega-3 fatty acids lead to a 14% to 20% reduction of heart attacks and other cardiovascular problems. Being in the lowest 25% percent of vitamin D levels in your body is associated with a 26% increased death rate from all causes. Research published in 2009 confirmed that the effects of lower vitamin D levels are even more pronounced with cardiovascular death. The British Heart Foundation advise that if you don’t eat many foods that contain vitamin D, consider taking a supplement in autumn and winter. A trial found that drinking Pomegranate juice daily will reverse the carotid artery blockage. Pomegranate juice is rich in tannins and anthocyanins and ployphenols whose effects are thought to be responsible lowering blood pressure, fighting infection, preventing cholesterol oxidation and reducing inflammations. . In the study patients had significant Carotid IMT reduction, by up to 30%, after 1 year. CIMT measurement is one of the best methods to detect early atherosclerosis. 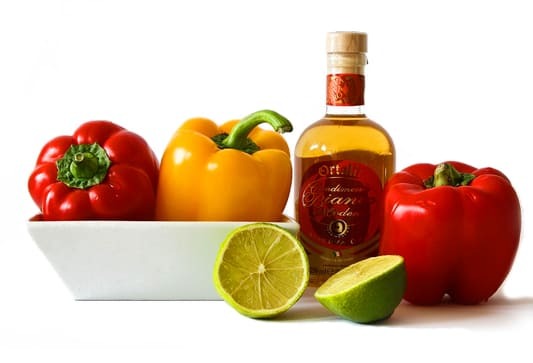 Other carido-health benefits were also detected including a reduction in systolic blood pressure. Magnesium’s role in protecting against heart disease is very important. It is well-known that even the accelerated aging of the heart muscle is due to magnesium deficiency. The Journal of Biomedical Sciences reported that cardiovascular risks are significantly lower in individuals who have higher levels of magnesium. Kale and other foods are far better a source than magnesium supplements. Arginine is an amino acid that studies indicate is an excellent dietary supplement for the benefits to heart health. It is thought to be of benefit for atherosclerosis and to reverse symptoms associated with the disease. Arginine is involved in many body functions such as wound healing, kidney function, immune function, hormone regulation, healthy artery function. L-arginine helps to get rid of ammonia in the body and stimulates the release of insulin. Suggested doses are around 2 to 3 grams up to 3 times a day. Turkey and Chicken are high in Arginine or for direct supplement Pumpkin Seeds ( also great for energy levels ) contain almost 7 grams for 250g ( 1 cup ). Peanuts also contain 4.5 grams per cup. 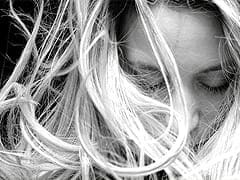 Arginine is also said to help with migraine. Arteriosclerosis is the thickening and hardening of the arteries a major cause of heart attack and stroke. Garlic has been found to reduce a multitude of risk factors associated with arteriosclerosis. It indirectly helps to reduce hyperlipidemia, hypertension, and probably diabetes mellitus and prevent thrombus formation. Confirmed in human studies this vitamin reduces the progression and actually reverses plaque build up in the arteries . A study found that high dose B-complex vitamin supplements significantly reduce the progression of early-stage atherosclerosis. This included otherwise healthy individuals. A Japanese study concluded that Folate and B-6 may reduce the risk of heart failure in men and reduce the risk of death from stroke and heart disease in women. Fibre, found in many foods such as Oatmeal, is naturally high in soluble fibre. During digestion this fibre can act like a sponge in the digestive tract to extract cholesterol before it is absorbed into the bloodstream. Constriction of blood vessels is one of the most important factors that can lead to a heart attack or stroke. Lycopene, found in Tomatoes and other foods is a powerful, natural antioxidant 10 times more potent than vitamin E.
Interestingly Lycopene potency appears to be enhanced when consumed pureed or with of olive oil – Mediterranean Diet? A study at the UK’s Univeristy of Cambridge found that Lycopene improved and restored normal endothelium function in volunteers with cardiovascular disease. As discussed already it is Endothelial cells that are linked to the hearts contraction and relaxation process as well as immune function and clotting. They found that 7 mg lycopene supplement dilated blood vessels by 53% in subjects with an existing heart condition. A typical daily suggested intake is 22 mg. This is about 2/ 50g tablespoons of Tomato puree. Tomatoes are also high in potassium which helps reduce blood pressure. 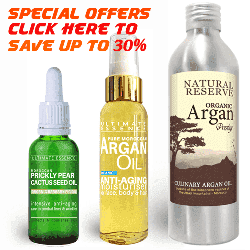 Where to Buy Culinary Argan Oil? 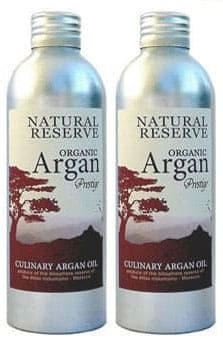 Buy certified organic culinary Argan Oil and view our latest special offers on our web store. You can also buy directly from web pages where you see the orange “add to cart” buttons. Prices include Free Delivery Worldwide. All products are supported by a money back guarantee of quality. Berrougui H, Ettaib A, Herrera Gonzalez MD, et al. Hypolipidemic and hypocholesterolemic effect of argan oil (Argania spinosa L.) in Meriones shawi rats. Berrougui H, Cloutier M, Isabel M, Khalil A.
Phenolic-extract from argan oil (Argania spinosa L.) inhibits human low-density lipoprotein (LDL) oxidation and enhances cholesterol efflux from human THP-1 macrophages. Derouiche A, Cherki M, Drissi A, et al. Nutritional intervention study with argan oil in man: effects on lipids and apolipoproteins. Cherki M, Derouiche A, Drissi A, et al. Consumption of argan oil may have an antiatherogenic effect by improving paraoxonase activities and antioxidant status: intervention study in healthy men. Nutr Metab Cardiovasc Dis 2005;15:352-360. Drissi A, Girona J, Cherki M, et al. 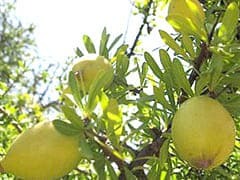 derived from the argan tree (Argania spinosa). Cherki M, Berrougui H, Drissi A, et al. Argan oil: which benefits on cardiovascular diseases? Arginine: A New Therapy for Atherosclerosis? John P. Cooke, MD, PhD; Philip S. Tsao, PhD the Stanford (Calif) School of Medicine. Correspondence to Philip S. Tsao, PhD, Division of Cardiovascular Medicine, Stanford School of Medicine, 300 Pasteur Dr, CVRB, Stanford, CA 94305-5246. Should the Amazigh Diet (Regular and Moderate Argan-Oil Consumption) have a Beneficial Impact on Human Health? A Keys, A Menotti, Mj Karvonen, C Aravanis, H Blackburn, R Buzina, Bs Djordjevic, As Dontas, F Fidanza, Mh Keys 1986.